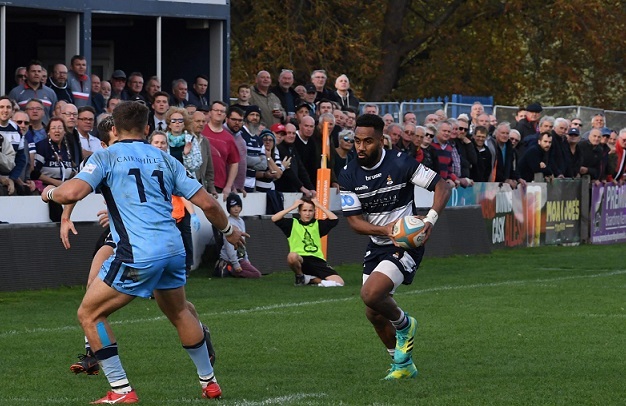 Andy Bulumakau and Dan Faleafa have shaken off injury concerns to face Hartpury in tomorrow’s Greene King IPA Championship round 14 clash (Butts Park Arena, 3pm kick off). Faleafa is named on the blindside flank, where, in the absence of the injured Jack Ram, he partners the in-form Ben Nutley and Aussie sevens international Ben Adams in a mobile back row. Phil Boulton, who captains the side from tight head, is joined by front-row colleagues Scott Tolmie and James Gibbons, while Scott Russell is given the opportunity to pack down alongside George Oram in the engine room. Tom Kessell and Will Maisey are named at half-back while Cov’s coaching group have opted for the same three-quarter line that started last week’s cup defeat at London Irish. This means Heath Stevens and Rob Knox combine in the centre, while the Bulumakau brothers join David Halaifonua in a back three which carries plenty of attacking threat. Samoan international prop Donald Brighouse, Latu Makaafi, Tom Jubb and Pete White are among the replacements on a bench featuring a five-two split of forwards and backs. “When we played Hartpury in September we had lots of new faces. The weather also caught us out a little, we didn’t manage to adapt our game-plan to the conditions and Hartpury played efficient rugby. “Since then we have learned plenty of lessons about playing on a winter surface, looking after the ball and we have shown recently that we can both defend and attack successfully against teams at the top end of the table. To watch all Coventry Rugby’s video content subscribe to You Tube channel Coventry Rugby 1874.